Missy (S9 Purple Outfit) Missy (The Master) is a Time Lady and like the Doctor, she’s from the planet Gallifrey in the constellation of Kasterborous. The two were friends in their youth and both chose to ignore their people’s policy of non-intervention with other species, but unlike the Doctor, Missy chose to travel the universe causing chaos and revelling in wickedness on an epic scale. Throughout all their encounters they usually showed a respect towards each other and on the occasions when they were forced to work as a team it was clear they made terrific allies. These two rogue Time Lords – so different but so very similar – facing the world on their terms with gusto and enormous talent. 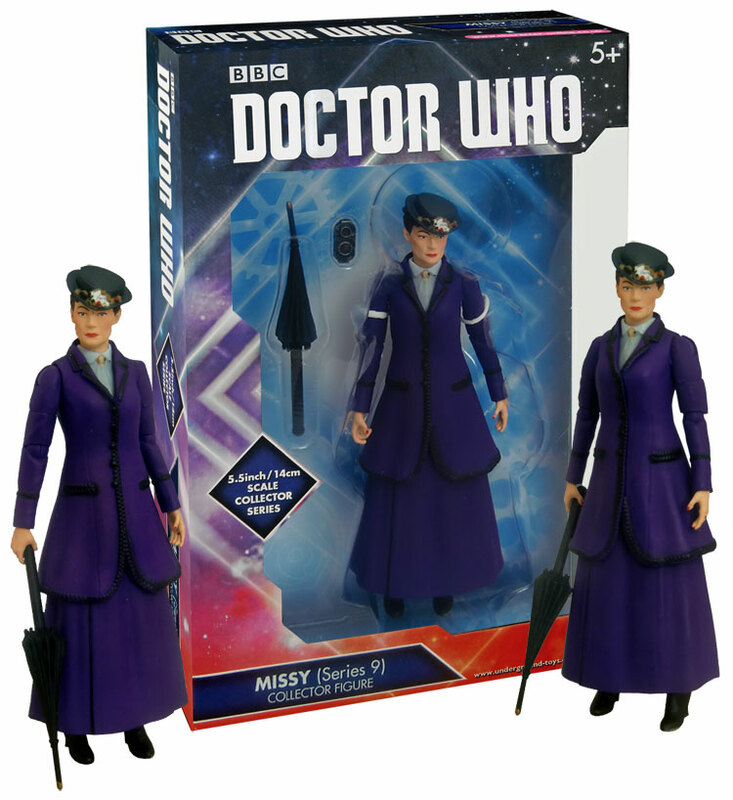 S9 Purple outfit Missy is presented in Underground Toys collector box packaging. Does the paint on anyone else’s Missy’s hands come off? A great figure, but the black version was my first and will remain my favourite. I got this today from Worlds Apart, last one, such a brilliant figure. So glad to finally have a Missy. Got mine from go Leeds today! 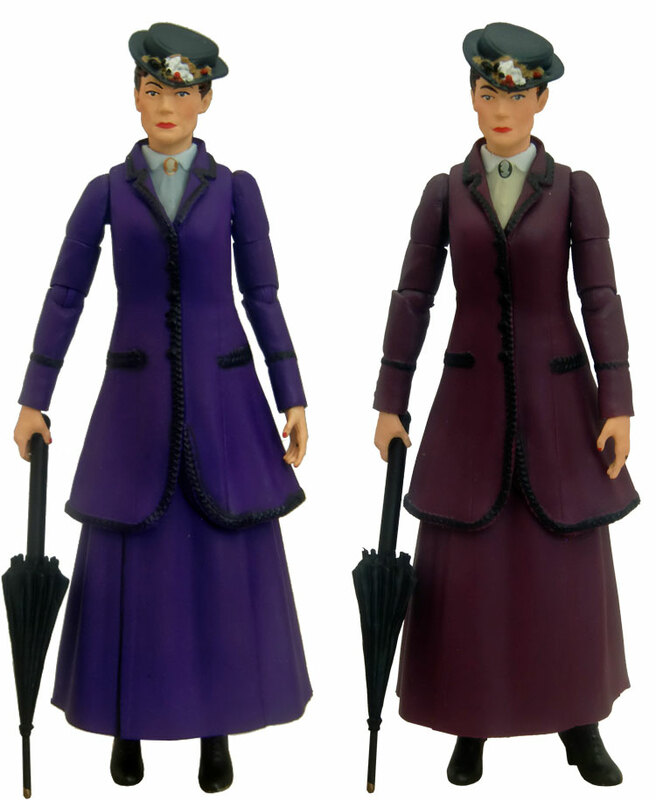 I really think that if the figure is based on the series nine Missy, it doesn’t need the hat. Booboo, any chance that both missy’s will find their way on to TRU shelves? Toys R Us Gateshead had both Missy figures in store yesterday.